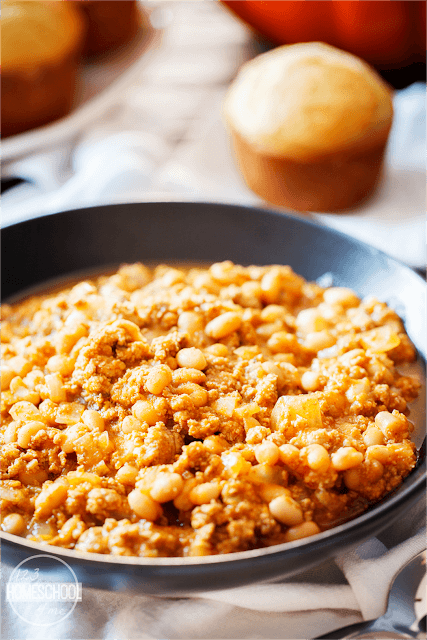 This easy-to-make and delicious Easy Pumpkin Chili Recipe is sure to be your new favorite fall and winter dinner recipe! 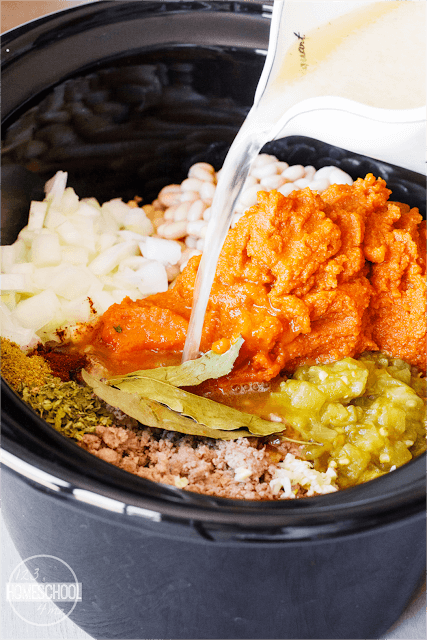 Dump all ingredients in your crock pot and stir to combine. Set crockpot on high for 4-5 hours or on low for 8-10 hours. 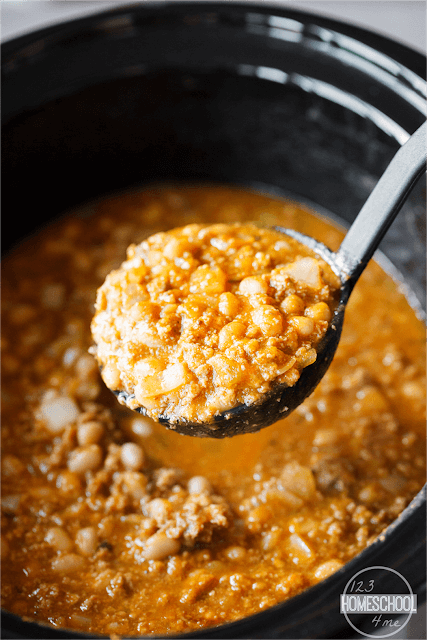 This favorite chili recipe combines pumpkin with white northern beans for wonderful fall flavor. I love that it is a healthy dinner recipe that my family begs me to make because it is so yummy and satisfying! 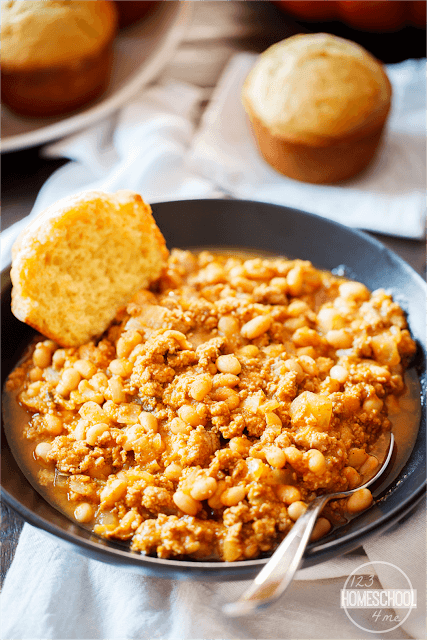 Our family likes to eat this satisfying, fall favorite, with cornbread. Get ready to warm up with this delicious white pumpkin chili this fall! It has the perfect blend of healthy ingredients and fantastic flavor to make it your new family favorite. QUICK: Place all ingredients in stock pot and heat to blend flavors for 20 minutes. EXTRA YUMMY: Place all ingredients in crock pot and cook 4 hours on high or 8 hours on low (best flavor). Serve with cornbread or bread.